The Interim Budget for 2019-2020 was presented before the Parliament on Friday. 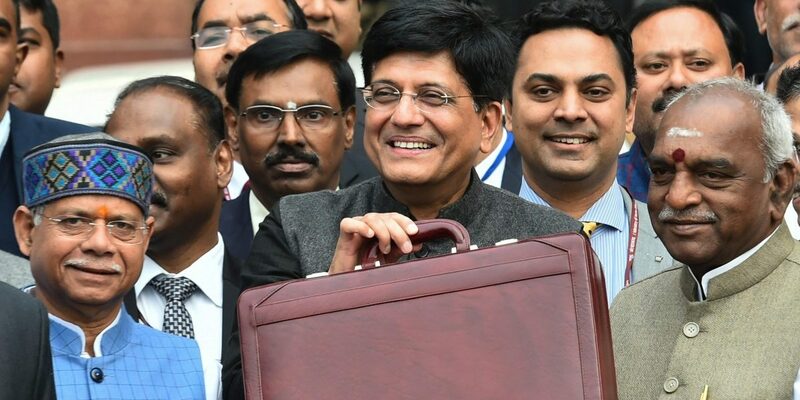 In his speech, acting Finance Minister Piyush Goyal reiterated the Government’s commitment towards uplifting the poor and middle class numerous times. To this end, he proposed allowing full tax rebate to individuals taxpayers having taxable annual income up to Rs 5 lakh. While this move was widely celebrated, like many other tax law changes it has been misunderstood by the public at large. The popular view appears to be, that the threshold limit of Rs 2.5 lakh available to all taxpayers has been increased to Rs 5 lakh. Some news reports also seem to suggest that this benefit would only be available to taxpayers in the age group of 60 – 80 years. In this article, we aim to break-down the proposed reform and explain some of the nuances of Income tax, that are relevant to understand its implications. First, it is imperative to distinguish between ‘exemptions’, ‘deductions’, ‘threshold limit’, and ‘rebate’. Exemptions under the Income Tax Act include receipts such as leave travel concession and, house rent allowance that do not form a part of the taxpayers’ income at all. Deductions on the other hand, are sums that would ideally form a part of one’s income, but are specifically excluded, while computing the total income. Examples of deductions allowed under the Income Tax Act include premium paid for life insurance, contributions to provident fund, investment in equity linked saving schemes. These are typically allowed by the Government with a view to facilitate savings and investments. Further, no tax is levied on the first Rs 2.5 lakh earned by taxpayers below the age of 60 years. This amount is generally referred to, as the threshold limit. For taxpayers in the age-group of 60-80 years the threshold limit is Rs 3 lakh, and for those above 80 years it is Rs 5 lakhs. Lastly, rebate is merely a concession from tax, allowed to certain eligible taxpayers on fulfilment of the prescribed criteria. It is relevant to understand that Friday’s budget did not alter the current scheme of exemptions, deductions, or the threshold limit. It merely increased the amount of rebate of tax granted under the Income Tax Act. Therefore, the view that the same is available to all taxpayers regardless of whether they satisfy the eligibility criteria, is deeply flawed. The rebate benefit proposed under the Budget is only available to individuals residing in India, with total income of Rs 5 lakh or below. As noted above, total income is arrived at, after accounting for deductions allowed under the Income Tax law. A taxpayer with gross income of say, Rs 7 lakh and deductions worth Rs 2 lakh or more would also be eligible for this benefit as their total income would amount to Rs 5 lakh and would hence qualify the eligibility criteria to avail this rebate. However, this benefit of Rs 5 lakhs is not available to all taxpayers. For instance, a taxpayer with an income of Rs 7 lakhs, but with deductions of Rs 1.5 lakhs would have a total income of Rs 5.5 lakhs and would therefore not qualify for this rebate. Therefore, the assumption that every taxpayer may now exclude Rs 5 lakhs from their income while computing their income tax liability is inaccurate. It must also be noted that the age of the taxpayer is not a relevant parameter for claiming this rebate benefit. In the aforementioned example, if a taxpayer in the age bracket of 60-80 years has an income of Rs 7 lakh, and deductions worth Rs 2 lakh or more, he would also be eligible to claim the benefit of this rebate provision. However, since the threshold limit for taxpayers over 80 years is anyway Rs 5 lakh, this rebate provision will not impact them. It is also important to briefly touch upon the value of the concession allowed through this proposed rebate. Under this scheme, taxpayers with total income of Rs 5 lakh or below will get a rebate of Rs 12,500/- or 100% of the income tax payable, whichever is less. The rate of income tax applicable to individuals in the total income bracket of Rs 2.5 – 5 lakh is 5%. Taxpayers claiming the rebate in question can have maximum total income of Rs 5 lakh. Given the threshold limit of Rs 2.5 lakh, the maximum amount of tax payable by such taxpayers can be Rs 12,500/- (5% of Rs 2.5 lakh). Therefore, despite the cap mentioned in the provision, under the current rate-structure taxpayers qualifying for the rebate will be eligible for 100% of income tax concession. We believe that this move does indeed cater specifically to taxpayers under a certain income bracket and its benefits would not spill over to taxpayers with higher incomes. However, in order to truly reap the benefits of this proposed reform, it is important that its intended beneficiaries understand the fine print involved. Vidushi Gupta and Vinti Agarwal are Research Fellows at Vidhi Centre for Legal Policy and the views mentioned herein are personal.